Daniel Craig and Rachel Weisz have caused a stampede to the box office by theatregoers keen to keen to see the husband and wife acting powerhouse in Harold Pinter's Betrayal. 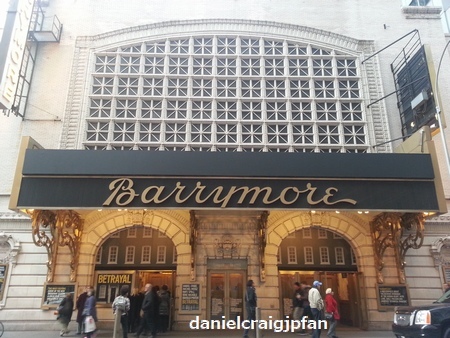 The show opened on Sunday, in front of a star-studded audience including director Steven Spielberg, musician Bruce Springsteen and US Vogue editor Anna Wintour at the Ethel Barrymore Theatre who were among the lucky ticketholders. But others desperate to see the show have seen theatre lovers pay $2,500 on the black market to see the new adaptation, directed by ten-time Tony Award winner Mike Nichols. Daniel Craig & Rachel Weisz Hold Hands on Opening Night! Cue the gun barrel and the surf-rock guitar riff: 007’s the man with the golden box office. 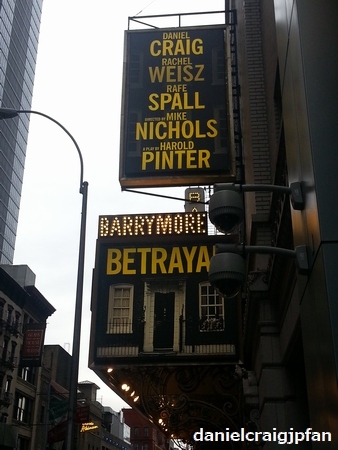 Tickets for the upcoming Broadway revival of “Betrayal,” starring Daniel Craig and his wife, Rachel Weisz, have been on sale for just two weeks, and the take is reaching $5 million. No other new show is even close. 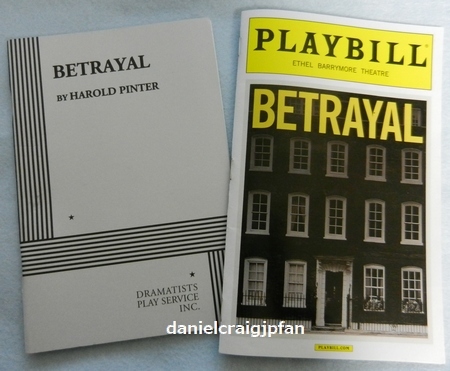 Sources say the Harold Pinter play will likely be sold out by the time it plays its first performance Oct. 1. 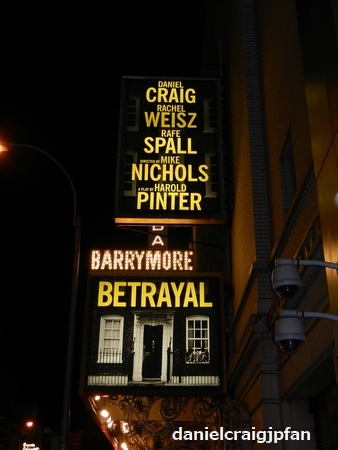 Directed by Mike Nichols, “Betrayal” opens Nov. 3 at Nichols’ favorite Broadway theater, the Barrymore, and will run just 14 weeks.